Choices Counseling & Skills Center offers both full comprehensive DBT as well as DBT-Informed treatment programs and strategies. Our comprehensive programs are adherent to DBT treatment protocols. Our DBT Center has been providing DBT services in the San Gabriel Valley since 2009. We also offer DBT skills classes as adjunct services. Our comprehensive Adult DBT Program is designed for those who struggle with regulating their emotions effectively through life’s many challenges. Adults can take control of their emotions, thoughts and behaviors and make their lives or relationships tolerable. Our comprehensive DBT for Adolescents program provides skills training in a closed family or multi-family setting along with individual and family therapy. Parents as well as their teens learn the skills, side by side. The focus is to help teenagers and their families better handle the challenging road to adulthood. Teens learn how to take control of their lives by learning specific skills and strategies that affirm their feelings while facilitating change. Registration in this program includes weekly individual therapy with a DBT therapist. Parents and teens also join together for weekly skills class. The standard model is approximately a six-month program and most adolescents and their parents complete two cycles of the program. Our DBT-Informed program for Preteens provides skills training in a closed family or multi-family setting in addition to individual and family therapy. The focus is to help preteens (usually between the ages of 9-12) and their families better navigate the challenges inherent in family settings in the face of the incredible changes heading into adolescence. Children in this program learn specific skills and strategies for interacting effectively with their siblings, parents and peers, tolerating the distress of situations they cannot change and choosing more effective behaviors while assisting the whole family in affirming and encouraging acceptance and change. Participation in this course requires weekly individual therapy for the enrolled child, family therapy, and weekly skills classes with at least one parent. The course runs for 28 weeks and most participants enroll in at least two rounds. Many can benefit from learning the skills offered in DBT, even if they are not in need of a comprehensive program. Research has indicated that the skills alone are effective in regulating emotion, increasing coping skills and decreasing depression. Although DBT was originally researched with severe Borderline Personality Disordered clients, DBT has been widely adapted and is now being used effectively across a variety of symptoms and behaviors affecting functioning that stems from difficulty or inability to regulate emotions. We offer entrance into our six-month DBT skills group for clients who are currently in treatment with therapists outside the DBT Center. This class is psychoeducational and considered adjunct to therapy. It follows the same lesson plan and format as the skills groups for our comprehensive program and the hope is that it will enhance the client’s current work with their individual therapist. The DBT Skills classes will also include the opportunity for clients to measure their improvement in emotion regulation, coping skills, levels of depression, anxiety and general stress over the course of the program. Disclaimer: Enrollment in this course requires a phone consultation with one of our skilled trainers. DBT Skills classes are not psychotherapy and should not be considered an agreement of a professional, medical, or therapeutic relationship. These classes are educational and not a substitute for treatment. They are offered to enhance movement toward current goals for personal growth. Individuals under the care of a treating clinician will be asked to confer with their provider prior to enrollment in these classes. 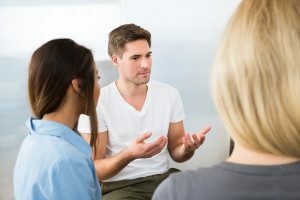 Choices has partnered with Living Success Center, a non-profit mental health agency in Orange County, to be able to offer lower-cost comprehensive DBT services to those who meet criteria. This program utilizes pre-licenced clinicians in a DBT-specific training site to offer lower-cost services to those clients who meet financial and clinical criteria. All proceeds are given to the parent organization, Living Success Center. Further information can be found here. Interested in learning more about our DBT Programs?